not be aware of what is happening around them. Protect them from injury – move any hard and sharp things out of the way, and cushion their head with something flat and soft, such as a folded jacket. Take off their glasses if they wear any. Loosen ties or anything tight around their necks. Check if they are wearing a medical alert bracelet or pendant so you can let the emergency services know. 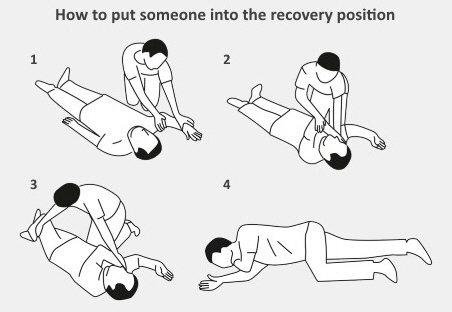 When the seizure has stopped lay them gently on their side in the recovery position. Stay with them until they are fully awake and have recovered. hold them down or try to move them, unless they are in danger. the person is not responsive five minutes after the seizure has stopped. More information about what causes seizures, the different kinds of seizures, and what to do if someone is having one.